Why Are Shares of These Companies Surging Today? With the S&P 500 nearing an all-time high, shares of Emerge Energy Services LP (NYSE:EMES), Bonanza Creek Energy Inc (NYSE:BCEI), Bonso Electronics International Inc. (NASDAQ:BNSO), and Intrexon Corp (NYSE:XON) are surging today. Let’s find out why investors are buying these stocks at inflated prices and examine what the world’s greatest investors think of each stock. High beta energy stocks Emerge Energy Services LP (NYSE:EMES) and Bonanza Creek Energy Inc (NYSE:BCEI) are up by 38.58% and 26.61%, respectively, because WTI crude contracts are up by 4.1% on the day to $48.03 per barrel. Although Saudi Arabia is manipulating prices lower by maximizing production, crude demand is still healthy and there’s the belief that Saudi Arabia can’t maintain its pace of production for much longer. Given the rising Shanghai index, Chinese oil demand could be better than expected, particularly as Chinese President Xi Jinping recently set a goal of 6.5% annual GDP growth over the next five years. Crude still needs to rally substantially for the fundamentals of the two companies to improve, however. Hedge funds are not very interested in Emerge Energy Services LP (NYSE:EMES), as only 4 funds of the 730 that we track were long the stock, owning $6.99 million of the company’s shares, which accounted for just 0.8% of its float on June 30. 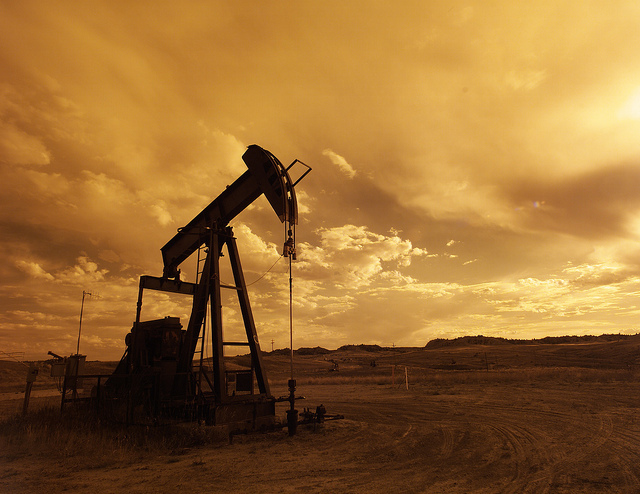 Meanwhile hedge funds have been cutting their stakes in Bonanza Creek Energy Inc (NYSE:BCEI). A total of 18 funds reported holdings worth $195.69 million representing 21.60% of its float, in the latest round of 13F filings, down from 22 funds and $262.58 million a quarter earlier. Among them, Israel Englander‘s Millennium Management held 2.55 million Bonanza Creek shares, while Ken Griffin’s Citadel Investment Group reported ownership of 2.39 million shares. Why do we track hedge fund activity? From one point of view we can argue that hedge funds are consistently underperforming when it comes to net returns over the last three years, when compared to the S&P 500. But that doesn’t mean that we should completely neglect their activity. There are various reasons behind the low hedge fund returns. Our research indicated that hedge funds’ long positions actually beat the market. In our back-tests covering the 1999-2012 period hedge funds’ top small-cap stocks edged the S&P 500 index by double digits annually. The 15 most popular small-cap stock picks among hedge funds also bested passive index funds by around 53 percentage points over the 37 month period beginning from September 2012, returning 102% (see the details here). On the next page, we examine why Bonso Electronics and Intrexon Corp are surging. Why Are These Four Stocks Making A Late Surge? Why Are Investors Selling Shares of These Four Companies? Hedge Fund Manager Charles Paquelet’s Top Tech Stock Picks Billionaire Andreas Halvorsen’s Four Big Winning Bets OrbiMed Advisors Piles On This Biotech; Should You Follow This Healthcare-Focused... Why Are These Four Stocks Surging on Monday?